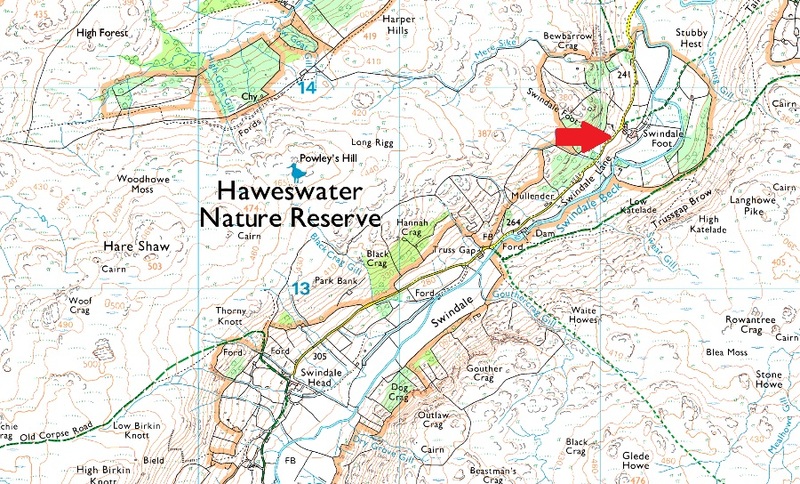 Notes: Parking in the Swindale Valley has changed a little since my first visit where off road parking was allowed close to Truss Gap put this has since changed moving the parking spaces back to Swindale Foot (opposite the white Pump House) which is marked with the red arrow. There is room for up to eight cars and usually you wont have any problems parking. Parking is free.